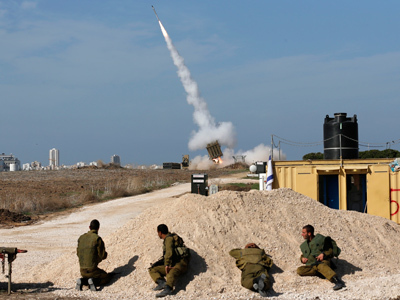 Israel has moved at least one Iron Dome missile defense battery to the north. This is reportedly to prepare for a possible attack on Syria or Lebanon, to prevent Syrian chemical weapons from falling into the hands of Islamist militants. Speaking to AFP, an Israeli security source noted that Israeli intelligence believe Lebanon’s Shia militia, Hezbollah, have substantial forces in Syria supporting President Bashar Assad, against Sunni rebels. 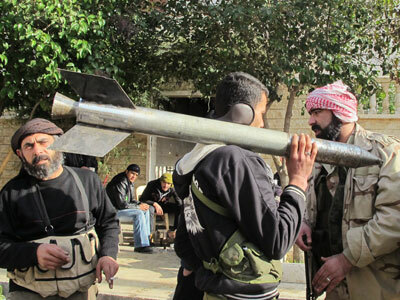 It believes the militia would quickly seize Assad’s chemical weapons if he falls, added the source. Should that happen, "a decision to attack in Syria or Lebanon will need to be implemented immediately…there won’t be time to start deploying," he said. 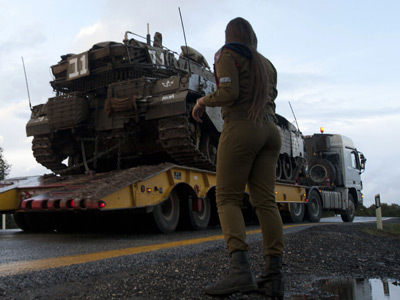 Despite speculation that two batteries have been moved, Israel says that only one battery has been relocated – and implied that the gesture was nothing more than a routine rotation. "As part of the operational deployment program, which includes changing locations throughout Israel from time to time, [an] Iron Dome battery is currently in the north," a statement said. As Israel’s security fears continue to mount, Home Front Defense Minister Avi Dichter, confirmed that Tel Aviv is closely watching its Syrian neighbor. "Israel, and not only Israel, is keeping an eye, a very close eye and trying to understand in the most precise way possible what is happening to the (weapons) stockpiles," Dichter said in a public radio broadcast. Witnesses in northern Israel have also reported heavy air force surveillance over Syria. And Tel Aviv doesn’t believe its work will be in vain. 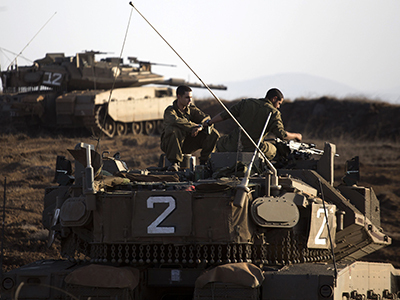 "It looks like Syria will fragment into smaller sections and there will be a measure of anarchy there for some time after the fall of Assad," Cabinet Colleague Benny Begin told Israel's army radio. "We have to prepare for what lies in store, and there is a responsible government doing just that." Israel confirmed its fears on Sunday, warning that a transfer of chemical weapons to violent groups could trigger an attack on Syria. 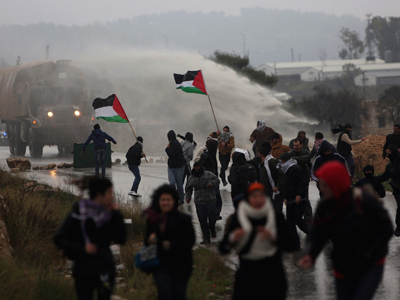 “It would be crossing a line that would demand a different approach, including even action,” Vice Prime Minister Silvan Shalom told Israel’s army radio. Israeli Prime Minister Benjamin Netanyahu has “urgently dispatched” his National Security Adviser Yaakov Amidror to Moscow, Maariv newspaper reported. Amidror was to meet Russian Foreign Minister Sergey Lavrov to ask that Moscow use its influence to prevent Syrian chemical weapons from falling into the wrong hands. Netanhayu also reached out to Washington on Sunday, holding talks with US ambassador to Israel Dan Shapiro. Speaking to a delegation of US congressmen, Netanyahu said he was working closely with the US on the issue. "We have had very close cooperation on all things, including the developing matters in Syria, very close cooperation between our two governments," he said according to a statement from his office. "This is important for the stability of the region, for the security of Israel, and it's much appreciated." Washington seems to share Israel’s fears. "There are two dangerous possibilities," he said. "Either the regime will use chemical weapons against the Syrian people, or the chemical weapons will pass to Hezbollah or to other extremist organisations…we want to prevent both those possibilities taking place,” Shapiro said in an interview with Israel’s army radio. 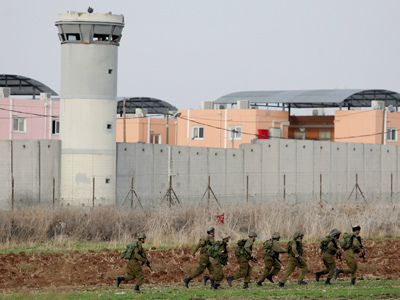 Israel's new barrier with Syria: Another brick in the ‘apartheid’ wall?